Rebecca is a valued member of our team and has worked with us for a number of years. She trained at The Academy for Theatre Arts in Newcastle Under Lyme and with the British Ballet Organisation. 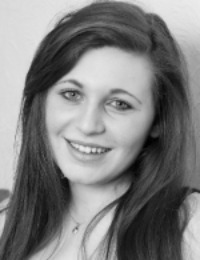 Rebecca currently teaches ballet, tap and street dance for Fusion Performance Arts at both our Tean & Packmoor premises. She also teaches BTEC Level 3 Performing Arts for Moorlands Sixth Form. Rebecca is passionate about dance and choreography and also performs with Kinetica Arts acting as Company Liaison Officer. Peter trained as a pianist and conductor at the Guildhall School of Music and has worked with many distinguished musicians including Leonard Bernstein who became his mentor. 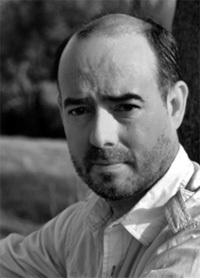 He has been commissioned as a musical director on such shows as 'Sweeney Todd', 'Sound of Music' and 'Oh! What a lovely War' working with many well know musical professionals including Liza Minnelli, Michael Crawford and Gary Wilmot. In 2004 Peter conducted Oliver! Starring the legendary Ron Moody as Fagin and has subsequently become his personal Musical Director. Peter worked on Mary Poppins in 2005, which opened at the Bristol Hippodrome to tremendous acclaim, and subsequently transferred to the Prince Edward Theatre in London’s West End. In November 2009, Peter was honoured to be asked to act as Musical Director for a Memorial Concert at the Palace Theatre, London, in memory of his friend and colleague Stephen Gately, working alongside Sir Ian McKellen, Tony Hadley, Shayne Ward, Maria Friedman, Beverley Knight, Christopher Biggins and Lee Ryan. Peter is an enthusiastic, vibrant teacher with a wealth of experience and is an asset to the team at Fusion Performance Arts.